The former Thoroughbred space in the Entertainment district is now home to a low-key wine bar with shareable deli eats. The Victorian house that previously housed Thoroughbred restaurant has been transformed into a cheerful wine bar with a snackable menu. The concept is inspired by the Sommelier Factory, an affiliated sommelier school located on the restaurant’s second floor. Founder Bruce Wallner joined forces with Thoroughbred chef-owner Ariel Coplan and Alex Rykhva (who the pair met through the Sommelier Factory) to create the wine bar-meets-deli restaurant. Bay windows looking out onto Richmond Street let plenty of natural light into the 40-seat room, with pink-painted walls and shiny white marble tables further enhancing the restaurant’s bright aesthetic. 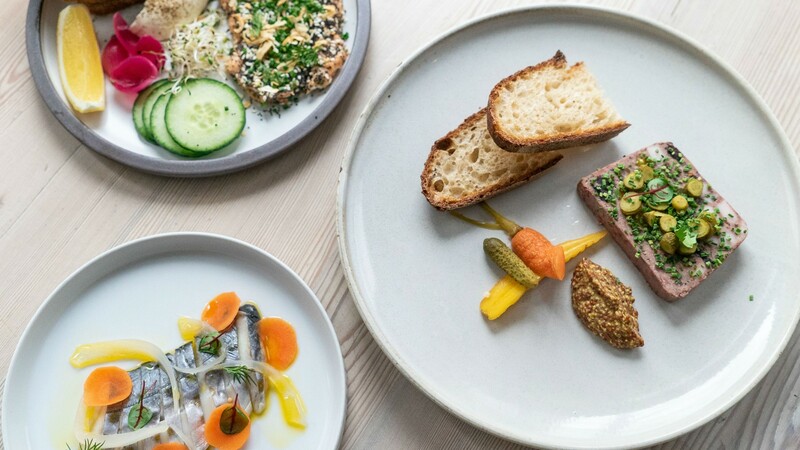 The menu, which ranges from charcuterie and cheese platters to caviar, features exactly the kind of nibbly eats you would want to munch on while knocking back a few glasses of wine. 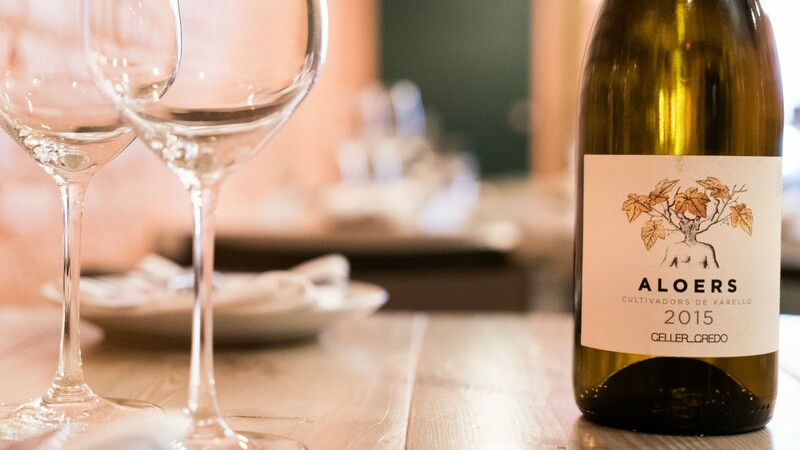 According to Director of Service Alanna Stuart-Young, Grand Cru’s wine list aims to showcase classic representations of various grape types, along with some fun, wildcard options. Novice wine lovers can therefore start to get a better feel for the characteristics of different varietals, while more experienced vinophiles will find some interesting glasses as well. There are 18 wines by-the-glass (evenly split between sparkling, white and red) and over 50 bottles. Diners also have the option of opting for a tasting flight – you can pick your own wines for the flight or let your server choose for you. Grand Cru looks to make the experience as approachable as possible, which means servers are happy to go into detail about the wines if you want to nerd out; or simply let you enjoy trying something new. Non-wine options include a handful of beers on tap, some non-alcoholic cocktails and a coffee counter for morning service (the restaurant opens at 8am on weekdays). The approach to the food menu here is uncomplicated: foods that pair well with wine. 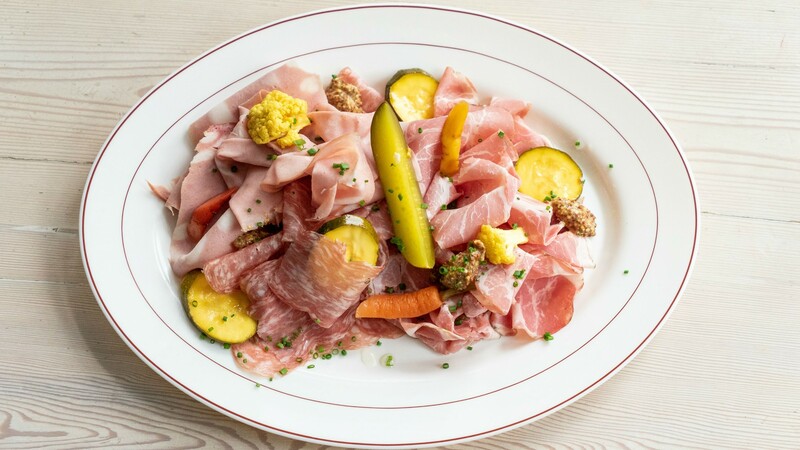 Naturally that means lots of meat and cheese options, which you can combine to make your own charcuterie board. We started with a platter of soppressata, creamy Chateau de Bourgogne cheese and chicken liver mousse, house-made marmalade and pickles, plus a punchy mustard (a basket crunchy crostini was the vehicle for it all). If you like the whipped texture of chicken liver mousse but prefer a veggie-friendly option, the mushroom parfait served with a fig jam, is a nice alternative. Other snacky items include cavier, as well as preserved fish and veg, or you can step up to a light meal with salad and soup options. Grand Cru makes most of their ingredients in-house, but sources a few items from thoughtfully-chosen suppliers like Cheese Boutique, the Butcher Shoppe and Daily Seafood. 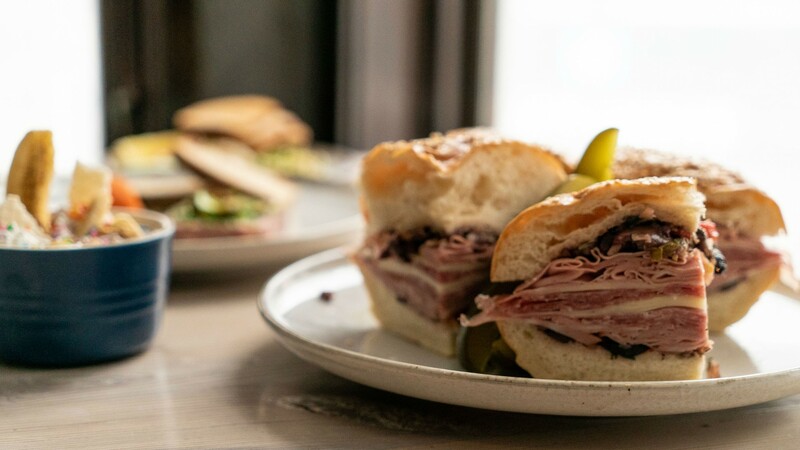 The deli part of the restaurant’s identity really shines through with it’s two hearty sandwiches – we tried the Pastrami, a simple but satisfying combo of tender beef cheek, Russian dressing and kosher pickles layered in between toasted caraway rye bread.